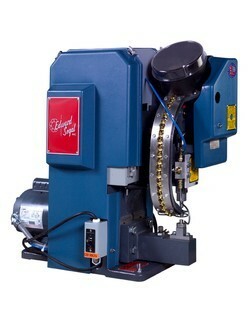 Edward Segal Inc. manufactures a full line of the Model G83 Grommet Machines. This product line offers a fast, reliable, and efficient solution to maximize productivity in feeding and setting grommets or larger eyelets. These machines are semi-automatic which means the grommet is automatically fed but the washer, if used, is manually placed on the lower die. 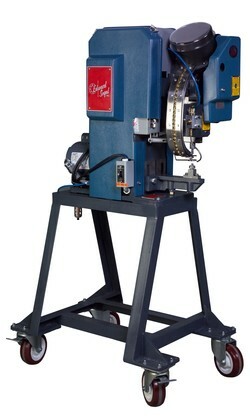 Edward Segal Inc. offers faster, fully automatic machine models for maximum speed and productivity. The base Model G83 is appropriate for applications where the holes are pre-punched and can accomodate standard grommet sizes up to a No. 5 Plain. Grommet sizes can be easily converted with changeover raceways and setting tools. The G2R83 includes the Double Revolution feature which is designed to run through the cycle two times. The first cycle punches a hole in the material and the second cycle attaches the grommet; all of this take place in about 1 second. 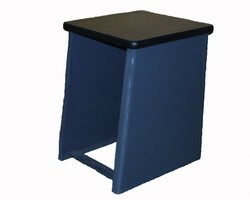 Dimensions (W x D x H): 12" x 23" x 24.5"
Weight / Crated: 325 / 375 lbs. Stroke: standard 2.75", special from 2" up to 3.5"
Throat Depth: standard 7.25", special up to 15"
Electrical: 110 Vac, 60 Hz, 1 Ph.